iflix, the world’s leading entertainment service for emerging markets, is thrilled to announce the exclusive premiere of hit series, Knightfall. Now anyone in Sri Lanka with or without an active iflix subscription can stream or download all 10 episodes of the highly anticipated period drama, exclusively on iflix. Knightfall begins after the fall of the city of Acre, the Templar’s last stronghold in the Holy Land, where the Holy Grail is lost. 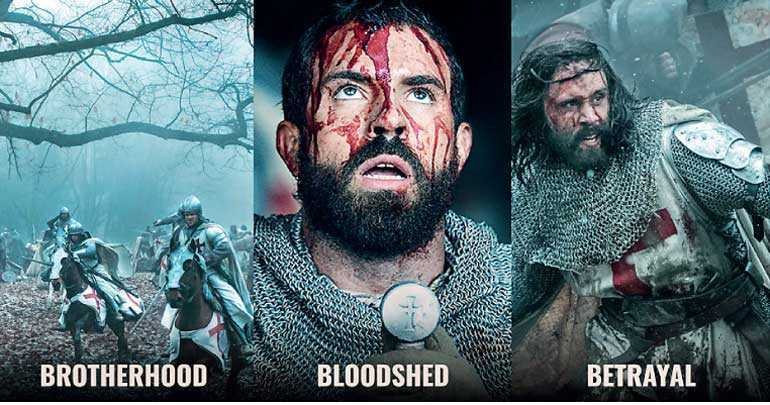 Years later, a clue emerges suggesting the whereabouts of the Grail and sends the Templars, led by the noble, courageous and headstrong Templar Knight Landry (Tom Cullen, Downton Abbey, Gunpowder), on a life or death mission to find the lost Cup of Christ. From their battles in the Holy Land, to their clash with the King of France, to the dark events leading to the demise of the Templar Order on Friday the 13th, 1307 – a date which became synonymous with bad luck – the story of the Knights Templar has never been fully told until now. Focusing on themes such as belief, sacrifice, politics, love, power and revenge – Knightfall goes deep into the clandestine world of this legendary brotherhood of warrior monks to find out who these knights were, how they lived, and what they died believing. Knightfall is an A+E Studios production in association with The Combine, Island Pictures and Midnight Radio. Don Handfield (Touchback, The Founder, Kill the Messenger) and Richard Rayner (L.A. Without A Map) serve as creators and executive producers for The Combine, with Oscar and Golden Globe nominee Jeremy Renner (American Hustle, The Hurt Locker) also serving as executive producer. Dominic Minghella (Doc Martin, Robin Hood) is executive producer and showrunner. Executive producers for Midnight Radio are Jeff Pinkner (Lost, Fringe), Andre Nemec (Alias, Mission Impossible: Ghost Protocol), Josh Applebaum (Alias, Mission Impossible: Ghost Protocol) and Scott Rosenberg (Jumanji: Welcome to the Jungle, Beautiful Girls). Barry Jossen and Douglas Mackinnon serve as executive producers. Arturo Interian is the executive in charge of production for HISTORY. A+E Networks holds worldwide distribution rights for Knightfall.